Growing up as a movie buff, I'm always fascinated by those American-style diners, especially the energetic vibes in the diners and those stacks of pancakes with bacon.This also kind of set the way I see how a diner or any eateries should be - warm, friendly and generous in their food portion. As someone who loves to travel, I've always wanted to travel around America and experience the "diner experience" myself, but sadly my travelling fund is still work in progress. However... I've recently found a place that gave me a peak into this classic American heritage! Home to hundreds of different cultures, New York City is a cultural melting pot knows for its variety of ethnic cuisines, great restaurants, and the ability to find any kind of food at any hour of the day. 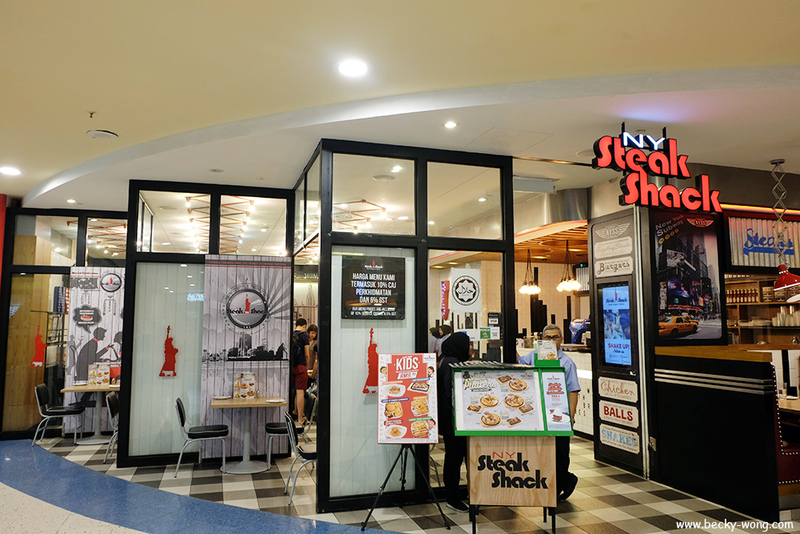 Inspired by New York City, NY Steak Shack want to satisfy your cravings for just about anything you have in mind, ranging from steaks to burgers and shakes, and pasta made to order. 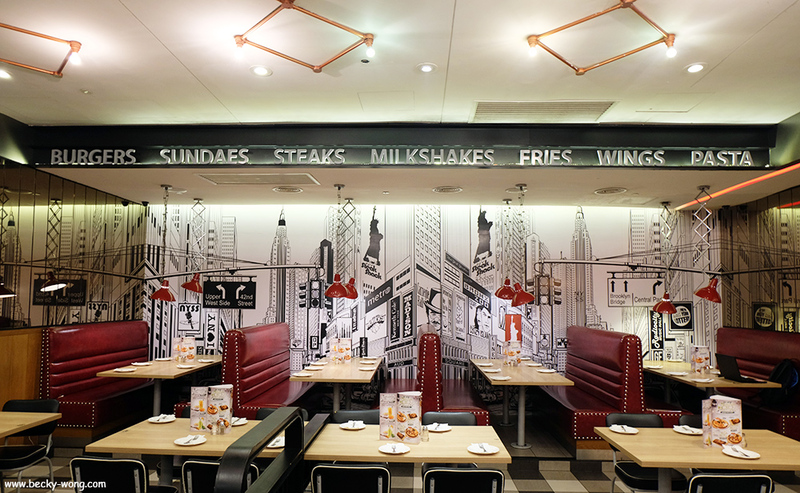 The restaurant has a retro vibe with theme colours of red and black. The somewhat rustic atmosphere would definitely give you a taste of the American heritage. 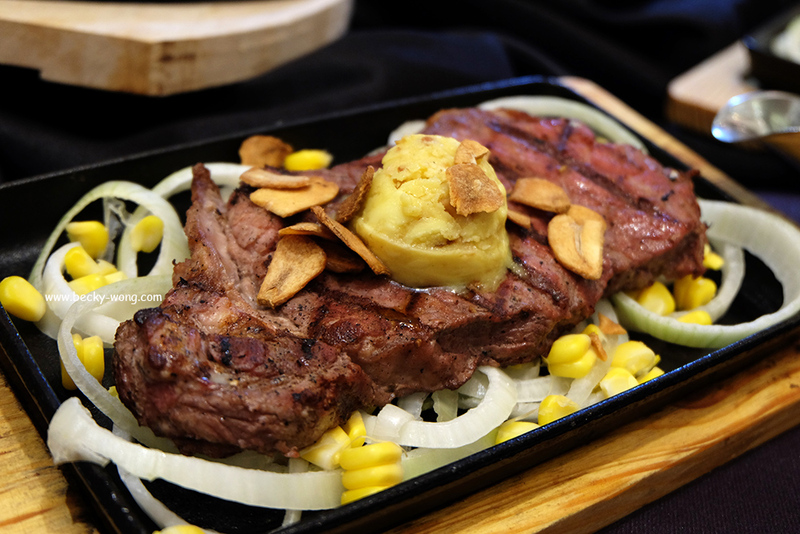 NY Steak Shack totally understands the joy of bonding over food, and with the festive season just around the corner, they have prepared some special dishes to cater to everyone's appetites. Like the phrase "Shared Joy is Double Joy", the NY-city inspired fast casual restaurant is introducing not one but FOUR amazing platters in its latest All New Sharing Platters menu - seafood, beef, poultry and lamb. Seafood Platter (RM 89.90). 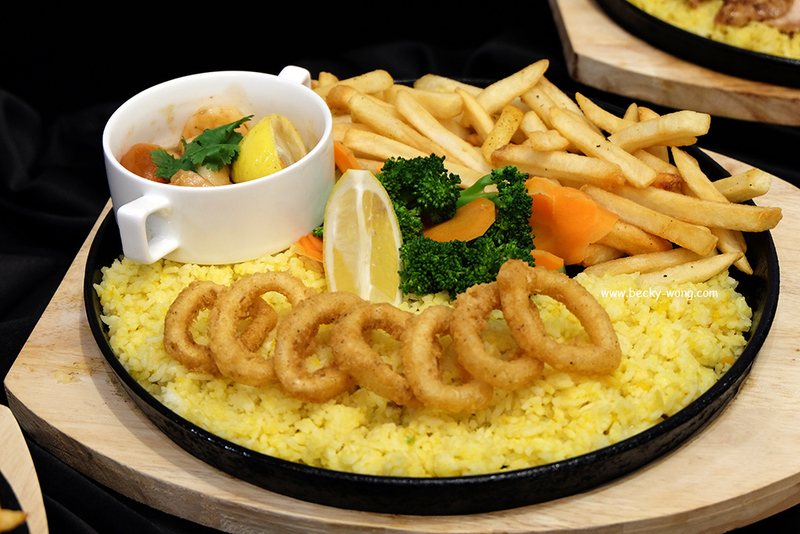 The Seafood Platter comes with an authentic bend of fried calamari along with garlic shrimp on the side, combining with a sizzling plate of Emerald Fish. The calamari was crunchy but if you ask me, I'd say the soft and flaky fish was the star of the platter. 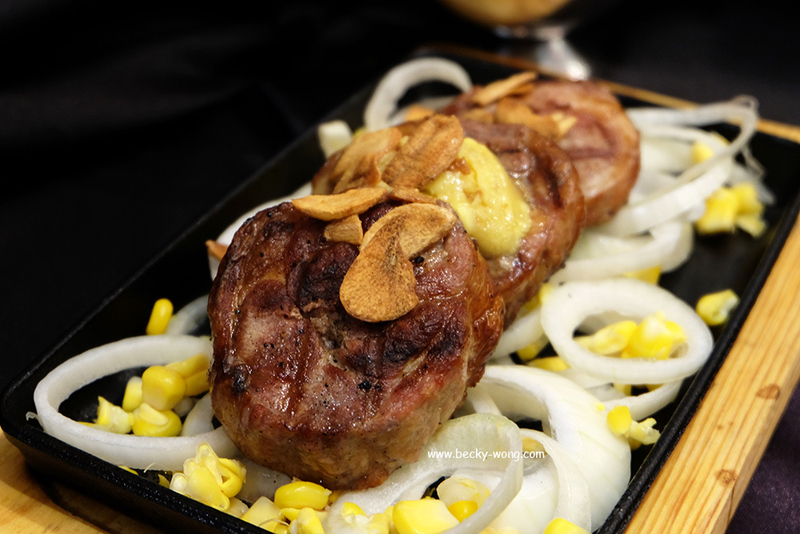 Lamb Platter (RM 99.90). Featuring a combination of lamb sausages along with lamb stew and sizzling lamb noisette on the side. The sausages were well-seasoned and juicy; while the stew was rich and hearty, although I would wish for flavours of the lamb to be more pronounced. On the other hand, the Lamb Noisette was perfect! Crispy crust around the edges, juicy and tender on the inside, this is one of my favourite dishes from the platters. 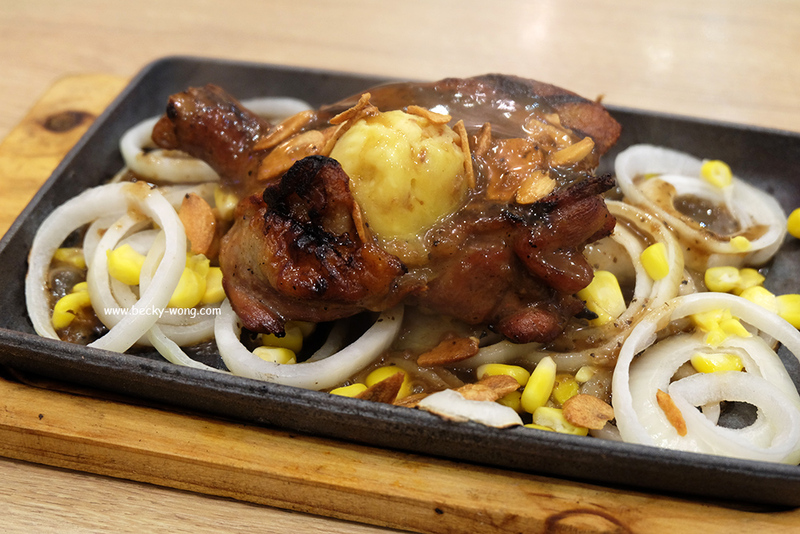 Poultry Platter (RM 89.90). 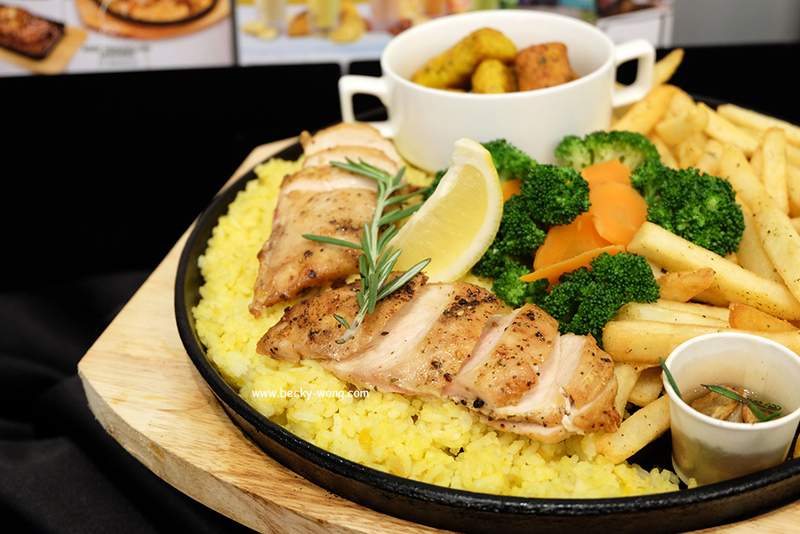 Consists of Rosemary chicken and chicken cevapi toghether with a sizzling duck chop. The chicken wasn't too bad but nothing to shout about. The duck chop was perfectly seasoned and very tender and juicy. 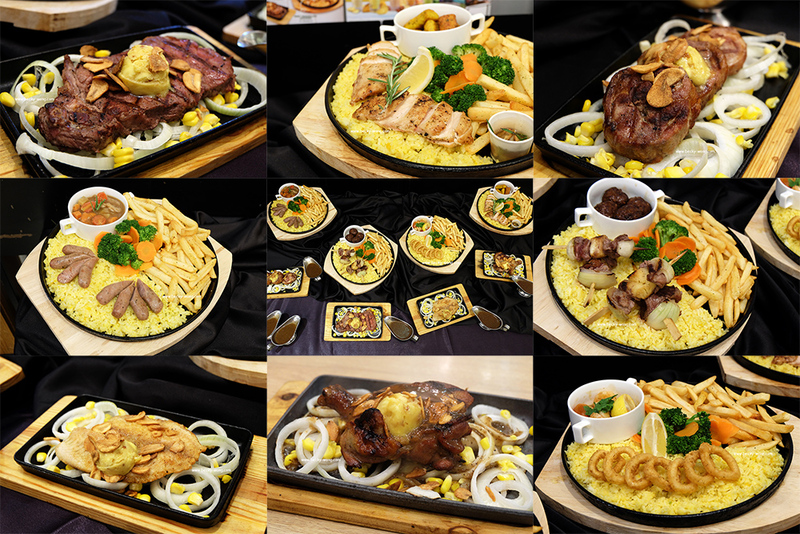 Beef Platter (RM 99.90). 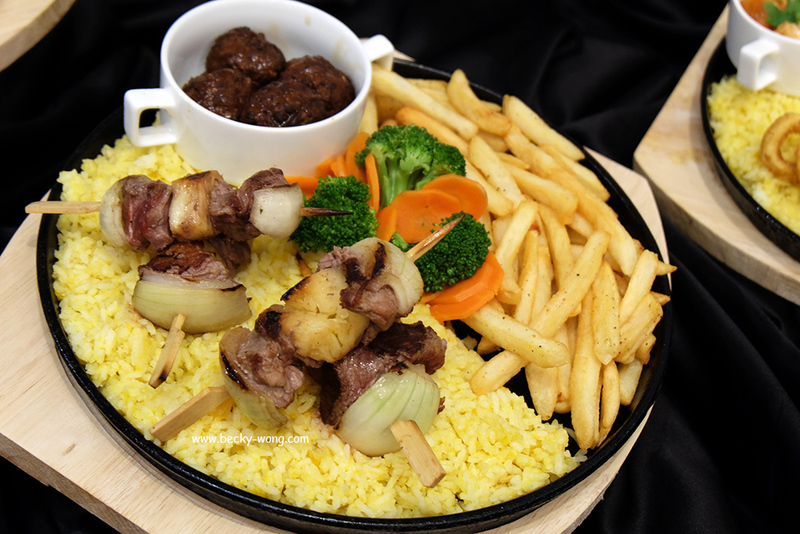 For those who love red meat, you can indulge yourself in the Beef Platter which consists of a beef tenderloin skewer cooked to perfection along with beef meatballs on the side. 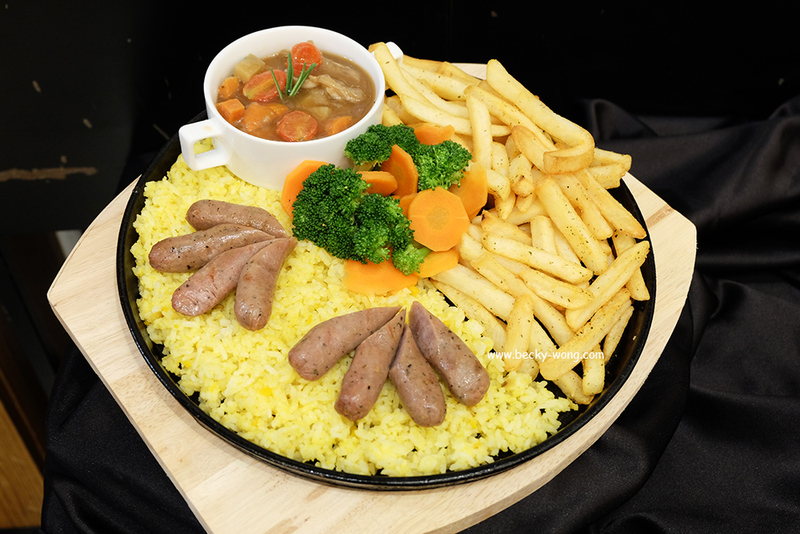 All of the sharing platters are complemented with pumpkin rice, fries and mixed vegetables. 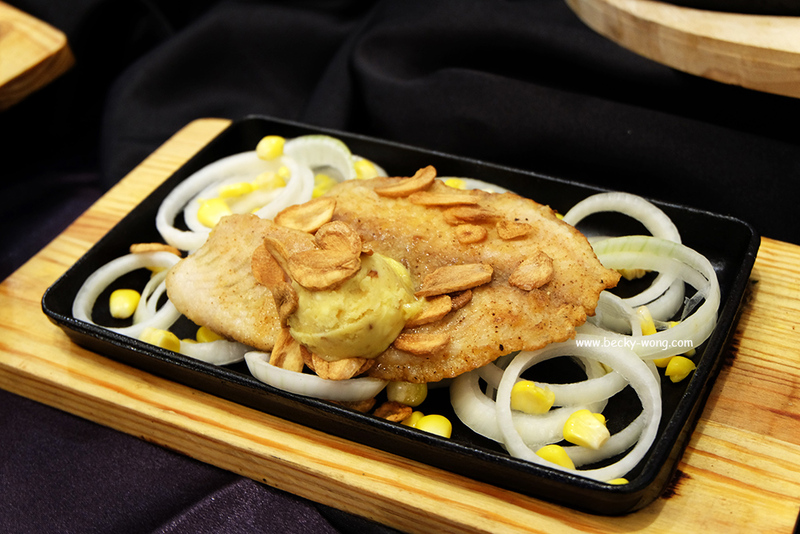 As for the sizzling entree, you can opt to order as an ala carte option starting from RM 23.90. Pineapple Lemonade (RM 9.90). Indulge your meal by enhancing it with some refreshing mocktails or smoothies. 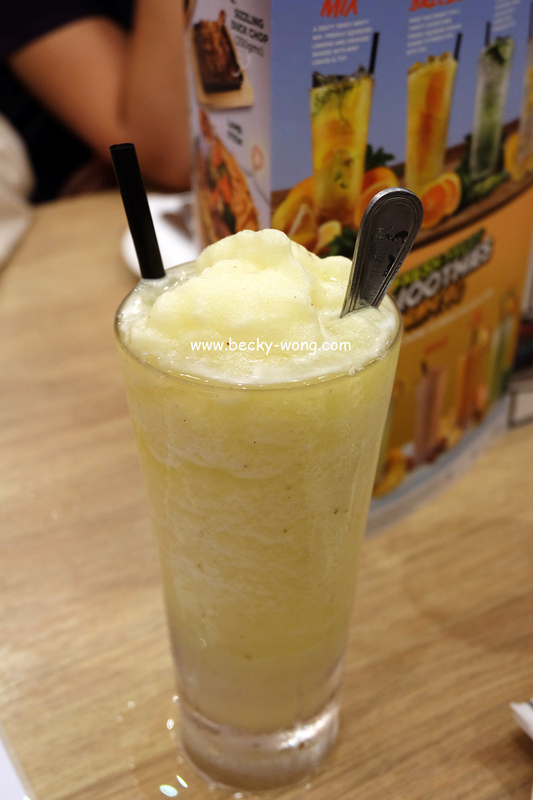 I had the Pineapple Lemonade Smoothie and I find the zesty lemon flavours are perfect to wash down all the food we had. The All New Sharing Platters is now available from 14 May to 15 July 2018. All food items served at NY Steak Shack are Halal certified. 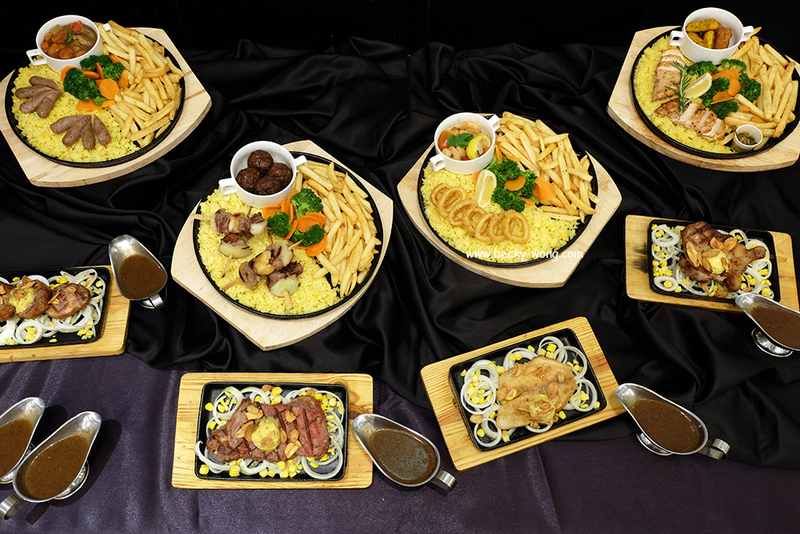 In conjunction with the Ramadhan and Aidilfitri period, RM5 from every platter menu purchased will be donated to Rumah Titian Kaseh and a donation box will be placed at all 10 NY Steak Shack outlets as part of the fundraising initiative. To find out more about NY Steak Shack, check out their Website and Facebook.